I was recently asked what advice I had for someone just starting to write songs. The gist of my reply was: "get out, go to shows, play open mics and surround yourself with other artists. You'll be humbled, you'll grow and you'll find your people." I found many of my people years ago at San Francisco's Bazaar Cafe. Home to one of the city’s more venerable open mics, the Bazaar was and is about music being made now, by the people who write the songs, and about creating a space to hear it. It was one of the first places I ever went public with an original song, and I still play there a couple times a year. 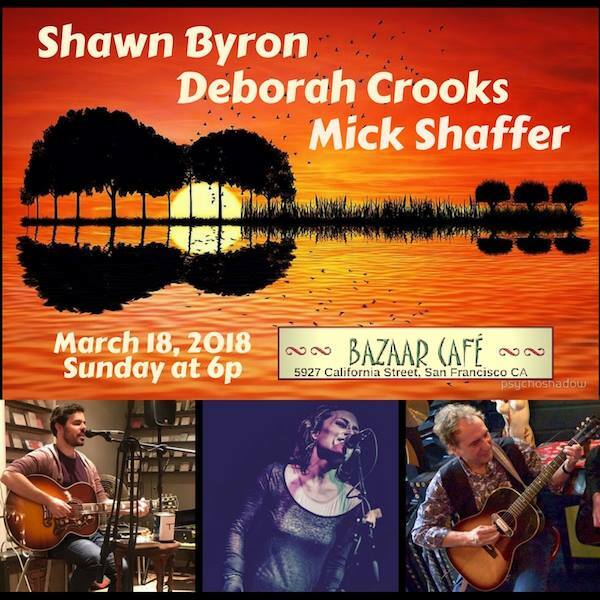 This weekend, I'll join my pal Mick Shaffer in the round along with Shawn Brody. My plan is to take a page from my early days, and play something that has yet to get out of the house. Come on down, order a drink (and perhaps a slice of pie), and take a seat with us this Sunday at 6pm. Oakland's Octopus Literary Salon occupies a similar psychic space as it likewise provides a space for literary events, open mics and every kind of music you can imagine. For the past several years I've hosted a quarterly songwriter showcase there, inviting artists I know and respect to share their work alongside several of their peers. The first of such events in 2018 takes place this coming Wednesday, March 21 at 7pm. 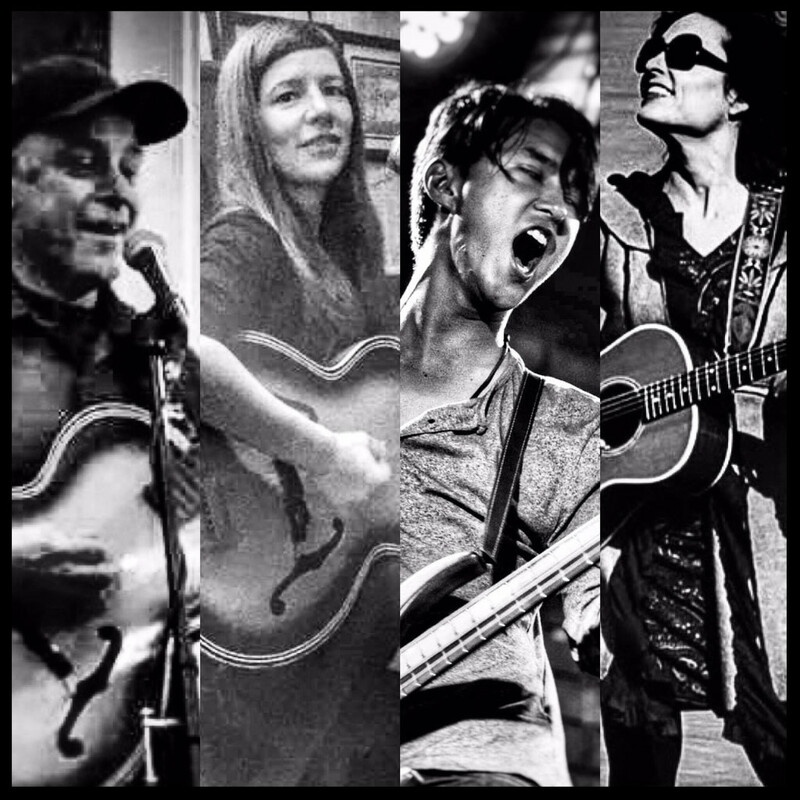 I'm excited to alternate short sets with songwriters Paul Griffiths (the Bogues), Joan Wilson Rueter (Penny Opry) and Sterling Spence (Westerly). Come take a listen!